The industrial sector’s major players appear set to have their way in a battle over the level of a gas distribution surcharge increase to be implemented through a draft bill for gas market revisions. Following a strong reaction from major industrial enterprises, backed by SEV, the Hellenic Association of Industrialists, the increase to the surcharge on gas distribution will be reined in considerably – compared to the initial hike proposed during public consultation procedures. According to energypress sources, the surcharge will be increased from the present level of 0.75 cents (euro) a megawatt hour to 1.2 cents (euro) per megawatt hour for high-level consumers supplied by DEPA, the Public Gas Corporation, and the country’s gas supply companies (EPA) covering the wider Athens area, Thessaloniki, and Thessalia, in the country’s mid-northeast. All other industrial consumers – expected to eventually join the lower-rate category reserved for energy-intensive industries – will be charged 3.5 euros per megawatt hour. The initial plan entailed a gas distribution surcharge increase to four euros per megawatt hour for all industrial firms, regardless of gas consumption level. 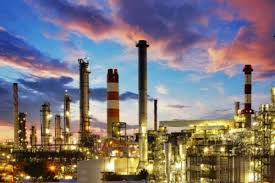 Essentially, major-scale industrial companies may be regarded as the winners, while the gas suppliers, DEPA, and especially the EPA companies, can regard the development as a trim to their expectations. The surcharge increase is part of the compensation package offered to suppliers in exchange for the premature end of their regional gas supply monopolies. Just days ago, Finance Minister Gikas Hardouvelis notified the country’s creditor representatives, or troika, that the gas market revisions bill would be submitted to Greek Parliament today. It remains unclear whether this is valid. Parliament, which is scheduled to take a break for the upcoming festive season on December 19, also has the national budget to deal with. Certain pundits believe the gas market reforms bill will not be ratified before the holiday season.